In my efforts to build a new Z-Axis I realised I needed to fix the adaptor plate I have for my spindle and my existing Z-Axis plate (when you can ‘tram’ your spindle with your little finger without loosening anything you know you’re not going to get accurate cuts in aluminium, or quite possibly in air either). 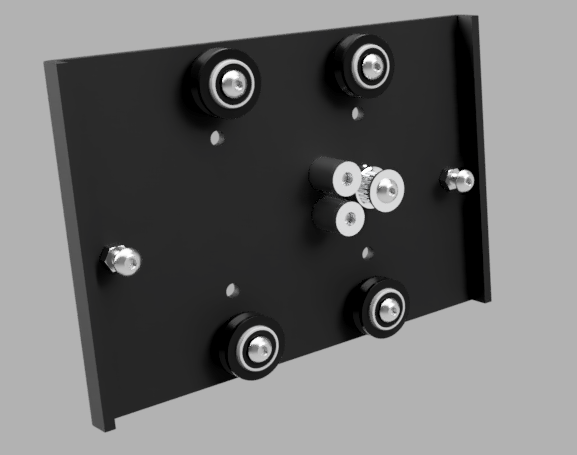 I couldn’t find a 3D model of the new-style Z-Axis plate and I found a number of other posts from people looking for the same so I’m sharing the one I drew up. IMPORTANT - This 3D model is taken from hand measurements with some fairly rough and ready eyeballing and rounding up to the nearest metric value in millimetres. Use at your own peril!!! If anyone knows if there are engineering drawings for the new style plate, I’d appreciate a pointer towards them. Fusion 360 archive and STEP files below.